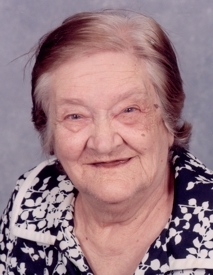 RUTH MAE WEST, 89, of Hardin, KY died at 10:26PM Monday, February 9, 2004 at her home. Ms. West was a member of Way of Life Ministries in Hardin. She is survived by two daughters, Maybelle Greer and Ludell Phillips both of Hardin, KY; two sons, Bill Coomer of Benton, KY and Kenneth Coomer of Calvert City, KY; 15 grandchildren; 8 step-grandchildren; several great grandchildren; and several great great grandchildren. She was preceded in death by her 1st husband, Charlie Coomer; her 2nd husband, Robert West; three sons, Joe Coomer, Thomas Coomer and Eddie Coomer; and one daughter, Mabelline Coomer. Her parents were Edd Bill Henson and Haley Jane Henson. Services: Funeral services will be conducted at 2:00PM Thursday, February 12, 2004 at Filbeck-Cann & King Funeral Home. Rev. George Snow will officiate and burial will follow in Benton Cemetery. Visitation: Friends may call after 5:00PM Wednesday, February 11, 2004 at Filbeck-Cann & King Funeral Home.